A chance to see the best players in the NHL all in the same place isn’t cheap. And this year, less so than others. 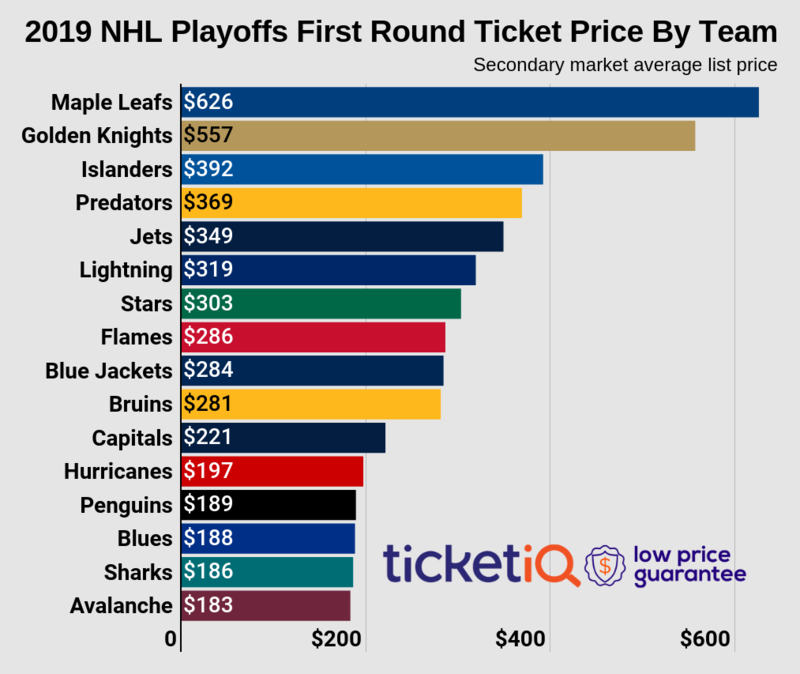 According to data from secondary ticket marketplace TicketIQ.com, the average asking price of a ticket to next weekend’s all-star game in San Jose is the highest it has been in five years, and two times as expensive as college football’s national championship. This is the second time the San Jose Sharks have hosted the NHL All-Star game, the first time was in 1997. Tickets for the game, scheduled for January 26 at San Jose’s SAP Center, are averaging $962. The next most expensive ASG ticket in the last five years was $519 for the 2016 game in Nashville, while the cheapest was $307 for the 2015 game in Columbus, Ohio. Tickets to Friday’s skills competition are trending at $135 on the secondary market. Players will compete in multiple events, including fastest skater, longest goaltending streak and a passing challenge. Among the factors that could be driving prices is the size of the arena. With a capacity of 17,562, SAP Arena is ranked No. 23 in the NHL in terms of size. Comparatively, Montreal’s Bell Center seats 21,302, and is the biggest arena in the league. In addition, thee Sharks players were selected to the team, forward Joe Pavelski and defensemen Erik Karlsson and Brent Burns. Only two other teams (Colorado and Tampa Bay) have three players on the roster. The cheapest ASG ticket is currently $295, and that price will get you a seat in Row 16 of Upper Level 217. The cheapest seats available with TicketIQ’s Low Price Guarantee are trending at $340 for Row 2 of Upper Level 224. For comparison, San Francisco Bay Area fans paid less for the cheapest seat the 2019 national college football final at Levi’s Stadium, which settled at $190. The priciest big event in the area in the last three years was Game 6 of the NHL Finals, for which the get-in price was $419. But if you really want to treat yourself to some up-close and personal hockey, the priciest ticket still available for the ASG is $6,547 for a seat in Row 1 of Lower Level 106, on the corner near the visitors’ bench.